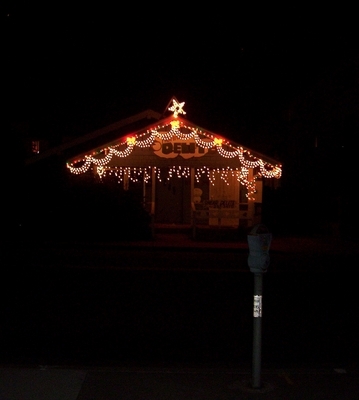 An original mystrical, magical Christmas Holiday photo of a building strewn with some Christmas lights, from across the street. The shot is quaint and has character. It brings to mind nostalgia. A beautiful image that can be used for websites, social media backgrounds, and for your viewing pleasure! [YES] Use imagery online or offline in your projects. [YES] You can add your name or business name to the picture. [NO] You cannot claim copyright to any of this content unless substantial changes are made that legally separate the original content with your own rewritten content, articles or products. (Basically substantial changes means that your version bears NO resemblance to the original content at all). [NO] You cannot re/sell this as your own PLR material in any way.